Gone are the days of lugging a hundred pounds of bulky camera equipment through the woods to film your deer hunt only to wonder ‘how am I going to get this up a tree?’ Now, thanks to the revolution of technology, video cameras are lighter, less cumbersome, and easier to operate from a tree stand. But with so many options, how do you choose the perfect one in your price range? This guide will highlight the best video cameras for any budget. • If it will film in low light (to capture images early in the morning or at night). • The resolution of the camera. • If it has slow motion capabilities. • The quality of the optical zoom. • The affordability of it. • Night vision function to provide crisp, clear footage at night that won’t drain your battery. • WiFi capable so your smartphone can act as a remote to control the camera. • 270-degree rotation so you can record more. •1080p and 24 Megapixels for high-quality image capture. This camera is very portable and easy to carry because it can fit in the palm of your hand. If you want to film yourself, this is a good choice because the screen flips. Also, it has a long battery life and is a great alternative to photos taking up memory on your cell phone, especially with 32GB of space and a memory card. Unfortunately, there’s no image stabilization feature, so you can end up with shaky video/pictures. Further, the zoom feature leaves something to be desired; it can cause the video/picture to become over-pixelated and grainy. Additionally, the audio can be tinny, and the camera may not pick up soft sounds. • The battery is rechargeable with the USB cord. • User-friendly and good for beginners. • It’s compatible with tripods (not included). • Though the CamKing has lots of accessories, a lens cover isn’t one of them. This means the lens needs to be cleaned frequently. This is for the nomad, traveler, adventurer, tourist, outdoorsman, or anyone with wanderlust. It’s made for a mobile life and is easy to carry and store. Though it can work for anyone, the lack of a headphone and external mic port suggests it’s not ideal for making YouTube videos or films. Despite its light-weight and compact size, the Besteker packs a punch! It is a high-tech, multi-function DSLR Camcorder with sound quality capabilities suited for a professional, like long distance pickup. This camera is great for at home or on the go and has many features for an affordable price, a one-year warranty, and it comes with tons of accessories. • Anti-shake feature for a clear, steady picture. • Comes with a remote control. • Professional “shotgun” microphone to reduce noise. • 1080p and 24 MP at 30 FPS. 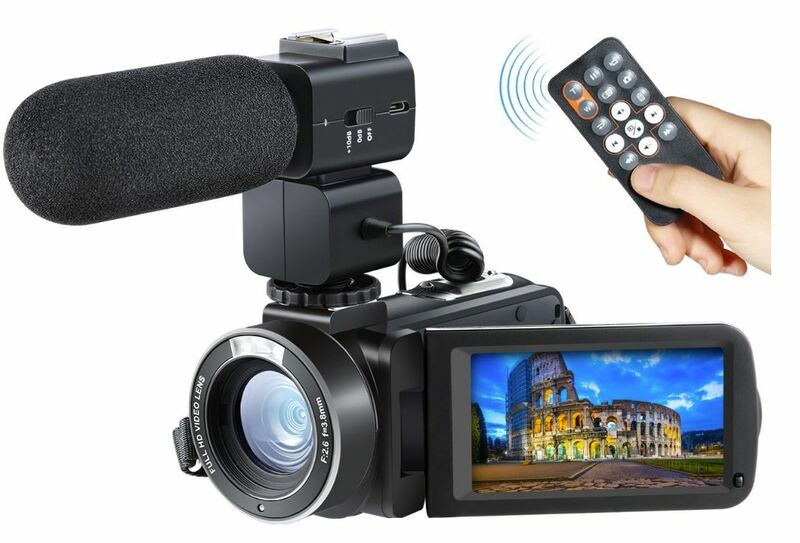 This camcorder is made of high-quality materials and has an internal and external microphone for excellent, professional-grade audio recording. 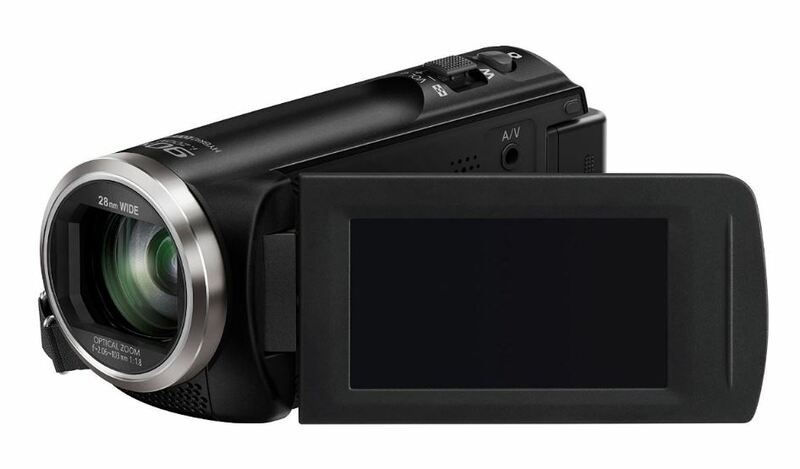 To view videos (and hear the audio), the camera is equipped with HDMI and TV outputs. If you’re using it to take photos, you can clearly capture images from nearly ten feet away. Unlike many video cameras, the Besteker doesn’t have a good night vision feature. Also, the battery life will be shortened by using WiFi. • User-friendly despite its many features. • Comes with two batteries and a charging dock. • Can support up to a 64GB external memory card. • Doesn’t include an SD card. • Needs to be charged for at least eight hours before first use, so you won’t be able to use it immediately. This camcorder is ideal for amateur film-makers, YouTubers, or anyone looking to capture memories. Though it would work for hunters, the night vision feature is lackluster, so the camera is best used in good lighting. Made by a trusted brand, Panasonic HC-V180K is great for capturing all of life’s moments. This DSLR option is compact and user-friendly with tons of features at a low price. The HC-V180K is ideal for hiking, climbing, and athletic events because it automatically detects and prevents camera tilting, so you’ll always be right in the middle of the action. Some other perks are improved low-light image quality, a microphone made to ensure clear audio, and HD recording. Also, it has an image stabilizer, 50x optical zoom, and creative effects filters to turn your memories into a work of art. One of the best things about this camcorder is the zoom; it can take crisp photos from approximately 200 feet away, even in low light. But what sets it apart from other options is the creative filters to enhance your videos. Also, the battery is long-lasting, so it doesn’t stop before you do. The material of the product is plastic, giving it a slightly toy-like feel. Also, the microphone doesn’t stand up to some competitors in quality. • Features are seamlessly synced (and not manual). • Small enough to be held with one hand. • Automatically adjusts volume during audio recording. • Difficult to understand instruction manual. • Does not offer live streaming. • Doesn’t come with a carrying case. 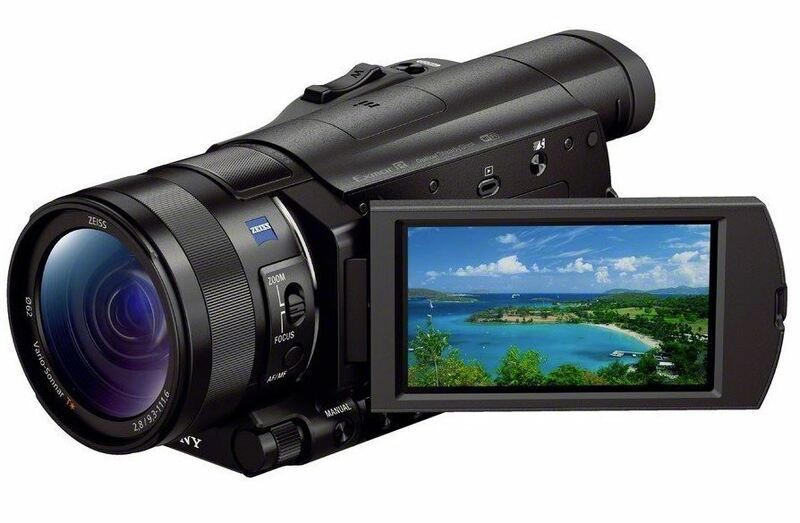 The Panasonic HC-V180K is a great choice for the outdoor enthusiast or those who desire to film sports games. Also, it’s good for beginners. However, this isn’t the camcorder for those who are looking to live stream or create films. 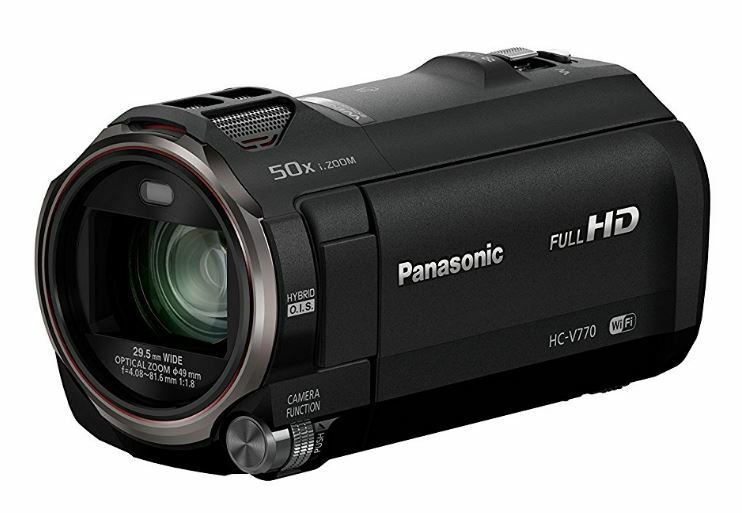 The Panasonic HC-V770 is not your father’s camcorder (though it’s probably reminiscent of it). It’s all business. This Consumer Category option boasts tons of features and promises to take professional quality video of anything. But what sets the HC-V770 apart from other cameras is its WiFi capabilities. It can livestream video, connect to a smart phone, and act as a baby monitor for your peace of mind. Also, it has 20x zoom for a clear picture, a microphone that reduces sound distortion, and advanced lens (because your camera is only as good as its lenses). The best part? It’s a durable, yet compact, camcorder with a three-inch screen that can capture all of life’s special events. 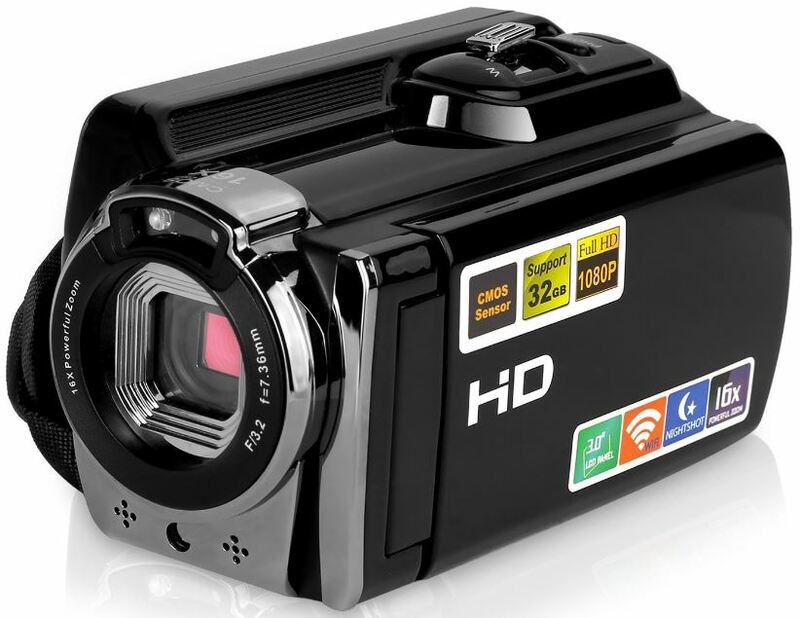 • It was the first Consumer Camera to have HDR Movie, which allows you to shoot excellent footage in any condition. • Allows you to use your smart phone as a secondary camera to capture more angles. • Delivers breath-taking images in low light. • Has a Wind Shield Zoom microphone feature to block out wind noise when filming outdoors. It has a solid build and great optical features. And, unlike most cameras available, the HC-V770 has an external microphone and head phone port. The more features you use, the faster your battery drains (which can be expected). Also, you should note it’s difficult to transfer video to an Apple computer due to compatibility issues and the user manual isn’t very helpful with anything. • Manual dial for focusing. 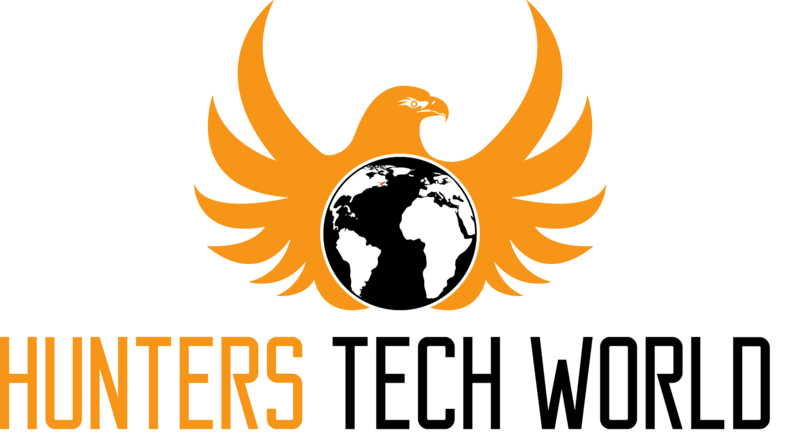 • Files are compatible with most video editing software. • Has an automatic lens cover. • Second camera feature is slow and out of sync. • No remote to control the camera remotely. • Odd placement of ports. While this wouldn’t be good for a professional, it’s perfect for taking home videos of birthday parties, weddings, etc. Anyone can use it and it’s a solid choice for beginners. 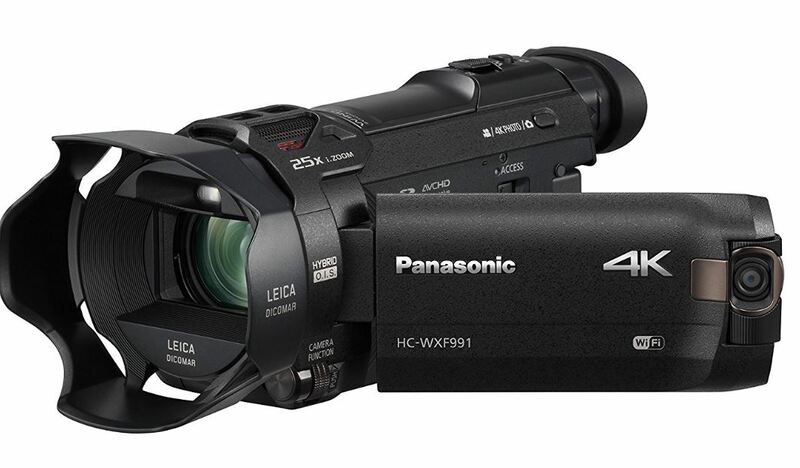 The Panasonic HC-WXF991K 4K is in the same family as the HC-V770. In fact, its like the smarter, better-looking, and better at everything cousin (we all know one of those). HC-WXF991K is a Consumer Camera, but it has tons of features professionals look for in a smaller package. With its ultra-sharp 4K HD recording, electronic viewfinder, and in-camera editing tools, anyone can record at near-professional level. Also, it features Twin Camera that works in tandem with your smartphone, live stream capabilities, and stabilization. Even your audio will sound clear and take your video to the next level, so you can produce videos like a pro. With the Panasonic HC-WXF991K, you’ll have more creative possibilities than with any camcorder you owned before. • The camera’s optical zoom, which is arguably the best feature. • It’s a simple, sturdy, and a no-fuss option. This camera allows you to add effects to your video and the 20x zoom is great for when you’re far away. Also, it has a professional-grade lens to capture every detail. For all its excellent features, there are a few complaints: the camera’s exposure and focus can’t be controlled manually, and the picture may have rippling. • Camera is equipped with a night vision feature. • It is fully automatic and has a shoe to add a microphone. • Works well in bright sunlight. • In windy conditions, noise can be suppressed but wind will still be heard. • The Twin Camera feature may only be usable for a select group and may be a novelty or gimmicky. This camera is good for beginner filmmakers or those looking to have home videos. So, it’s a great option for YouTubers or video bloggers, as well as anyone documenting travel. Also, it would be a great video camera for older kids to make their own films. This wouldn’t be a good choice for anyone looking for manual controls or something to use on a professional shoot (because, while this is like a professional camera, it’s still in the Consumer Category). When HD won’t cut it, the Sony FDR-AX100/B enters with its countless features you can hold in the palm of your hand (because it will actually fit in the palm of your hand). Unlike most Consumer Category cameras, it uses 4k/30p video to go beyond HD resolution – it’s four times clearer. It boasts advanced image processing for highspeed and peerless quality. Also, the FDR-AX100/B works well in low light and has A/D conversion to reduce background noise by half. Though a base model, you’d never know by its capabilities, which are only made better by the Multi Interface Shoe. This allows you to utilize accessories like a microphone or electronic viewfinder. It’s even compatible with a remote for ease of use. • SteadyShot Image Stabilization corrects camera shake. • WiFi connectivity and one-click sharing. The camera’s shutter release feature can be controlled by a smart phone and it has a thirty-three-degree wide angle lens to capture every moment. The controls can be a bit clumsy, so navigating isn’t as seamless as it could be. Also, the touchscreen is a bit insensitive to touch and may require more pressure. • Great for night shooting. • TruFinder EVF ensures your video has rich color. • Heavy for its compact size. • Submenu buttons are tiny. This camera is great for amateur filmmakers and people interested in filming things and events in high-quality resolution. It’s not a good option for professionals because, while it delivers a quality picture, it’s not professional grade. The Canon XA30 is a compact Professional Category camera that is reliable and offers impressive image quality. This is thanks to its 20x HD optical zoom lens and sensor to detect when you’re filming in low-light. Also, with this camcorder, you’re in control with creative animation and motion effects, including fast motion so you don’t miss a moment of anything. In fact, it was made for professional filming or videography on a budget and the portability of it is just a bonus. See the world through the 0.24-inch tilt-type color electronic viewfinder, which has 1.56 million dots of resolution for critical focus adjustment and can be operated with a joystick instead of the touch panel controls. This is truly a camcorder that puts you in the driver’s seat. • Circular Aperture design to avoid the “starburst” effect of light. • WiFi capabilities allow the camera to be controlled remotely. • DIGIC DV 4 Image Processor for vivid production of images. What’s a camera without a good memory card? This camcorder is compatible with universal SDHC and SDXC memory cards for fast data transfer. Also, the handle is detachable for easy storage. Some users may find it to be an inconvenience that the focus and zoom ring are together and not separate. • Intelligent Image Stabilization prevents blurring and corrects rolling and tilting. • Camera adjusts for brightness to allow images to look more natural. • Portable and weighs approximately three pounds. • Built-in microphone is automatic or can be controlled manually. • Doesn’t offer 4K recording. 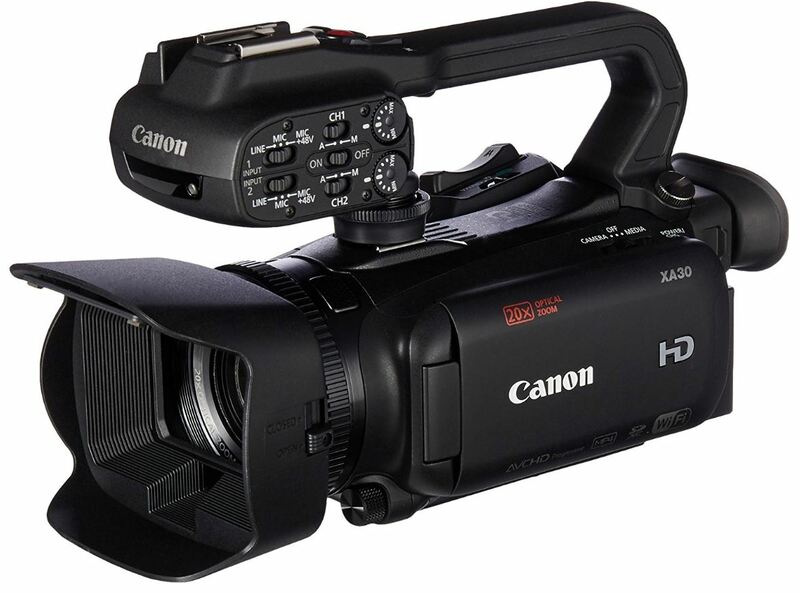 The Canon XA30 can be used by anyone from student filmmakers to professional news crews. Also, it’s great for videographers looking for a new camcorder to shoot weddings. It’s not a bad choice for anyone, though the price may not be in budget for people looking to make home videos. The Canon XF200 is high-performance without being bulky and has an ergonomic, rotating grip that makes it more a comfortable hold at any angle. A Professional Category camcorder, it offers more choices than similar models, like three separate lens rings to adjust your picture and two-channel and four-channel audio recording settings. Further, it will allow you to see the whole picture thanks to its wide-angle lens that provides amazing clarity. Over-exposure and camera shake will be a thing of the past because the Canon XF200 ensures you shoot like a professional in any situation. And it can even be controlled remotely through a web browser and is equipped with a slow-motion feature that would make it a great hunting camera. • Newly developed color viewfinder. • Three memory card slots. 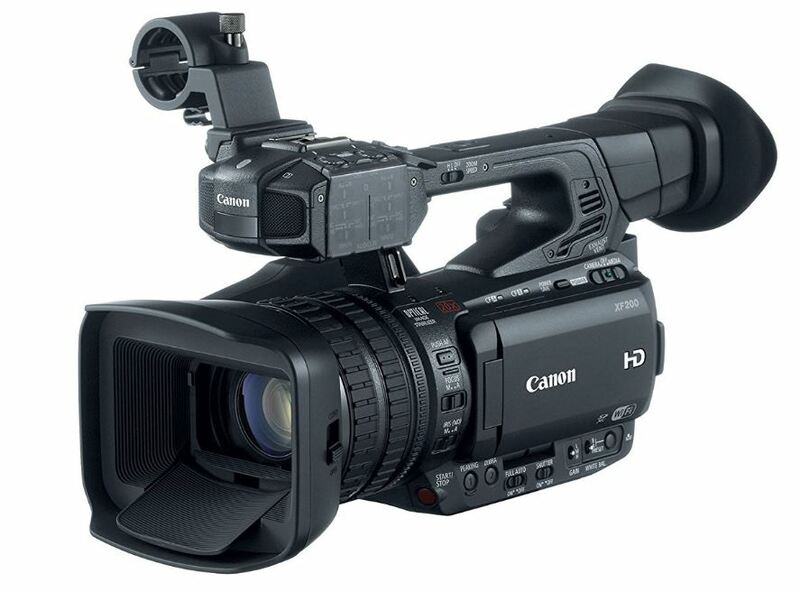 The Canon XF200 has a microphone holding unit and it’s rugged and durable. Also, it has a fan that is silent and cooling vents to prevent overheating. It has an ethernet port that is hidden, so it may not be convenient for some users. • Has buttons instead of a touchscreen, making it easier to control during shooting. • Allows you to set up a quick-access menu so your most-used features are right at your fingertips. • Headphone port and HDMI output. ​• The screen brightness makes it hard to see in daylight, even if you adjust it. • Noise reduction feature harms the integrity of images. • The last clip review function only plays without audio. This is a great option for a security camera, investigative work (like ghost hunting), and shooting independent films. While it can be used for a variety of projects, the price range may not be worth it to shoot home videos. The above options are great for a hunter with any budget. Whether you are just starting to film your hunts, or you are looking to upgrade to a professional-grade camera because you dream of being a professional hunter, choosing the right camcorder doesn’t have to be a hassle. By following this guide and purchasing a camcorder that meets the criteria you should look for, you can spend less time researching and more time enjoying life from a tree stand.